gallery	Court finds Roundup Causes Cancer! In case you missed the verdict this past week, Round Up was found guilty of causing cancer. Thank God for justice, truth, and love for it is through these universal foundations that our Humanity may be restored. For all who are concerned about their health yet who use Roundup on your yards or at your workplace, or eat GMO foods (Roundup is the chief herbicide used to grow GMO foods) you may wish to reconsider. Plaintiff Dewayne Johnson, shown on July 9, listening to his attorney speak about his condition during the Monsanto trial in San Francisco. On Friday, a jury awarded Johnson $289 million in damages after ruling that Monsanto intentionally concealed the health risks of its popular Roundup products. At 42, Dewayne Johnson developed a bad rash that was eventually diagnosed as non-Hodgkin’s lymphoma. 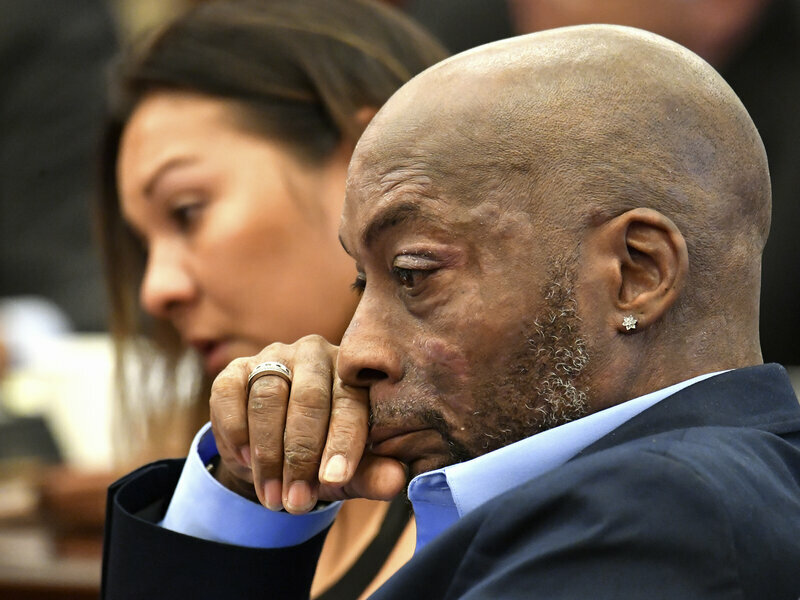 Four years later Johnson — now near death, according to his doctors — has been awarded a staggering sum of $289 million dollars in damages in a case against agricultural giant Monsanto. The former school groundskeeper sued the company, arguing that an herbicide in the weed killer Roundup, likely caused the disease. His lawyers also contended Monsanto failed to warn consumers about the alleged risk from their product. On Friday, a San Francisco jury agreed. They deliberated for three days before awarding Johnson $250 million in punitive damages and $39 million in compensatory damages. “The jury found Monsanto acted with malice and oppression because they knew what they were doing was wrong and doing it with reckless disregard for human life,” said Robert F. Kennedy Jr., one of Johnson’s attorneys, according to the Associated Press. “This should send a strong message to the boardroom of Monsanto,” Kennedy added. Monsanto has consistently claimed glyphosate, the primary ingredient in Roundup is harmless. Yet, Roundup is not merely made of just glyphosate but has several secret inert ingredients added to it. It is this, the whole formula found in Roundup that appears to be so carcinogenic. Through the trial discovery phase, this truth was revealed when internal emails sent by Monsanto’s own toxicologists were discovered. As reported in the Nation and other papers, in 2003 Monsanto’s leading toxicologist Donna Farmer wrote to the CEO, Sekhar Natarajan stating that “the company cannot say Roundup is not a carcinogen because we have not done the necessary testing on the formulation to make that statement.” Further, she continued, “we cannot make that statement about glyphosate and infer that there is no reason to believe that Roundup would cause cancer.”[i] While heads of the company may have overlooked this as a valid reason to be wary in promoting and marketing Roundup, those of us concerned about health certainly cannot. We have to ask, are there individuals at the EPA working in collusion with Monsanto? Adding to the evidence is a letter written by Marion Copley, who served as an EPA toxicologist for 30 years. As the carcinogenic nature of Roundup may continue to be disputed by its manufacturer, it has been discovered that another of its effects due chiefly to one of its inert ingredients is indeed substantial. As with most chemicals and products on the market, if they’re leaning toward carcinogenicity, they are probably capable of causing equally great or worse conditions for our health. In today’s world you can’t get by without full disclosure. Why do chemical companies get a waiver on this? To conceal inert ingredients doesn’t seem quite right, legal, or nearly in the spirit of promoting universal health and peace; rather it seems downright deceptive, unjust and harmful.